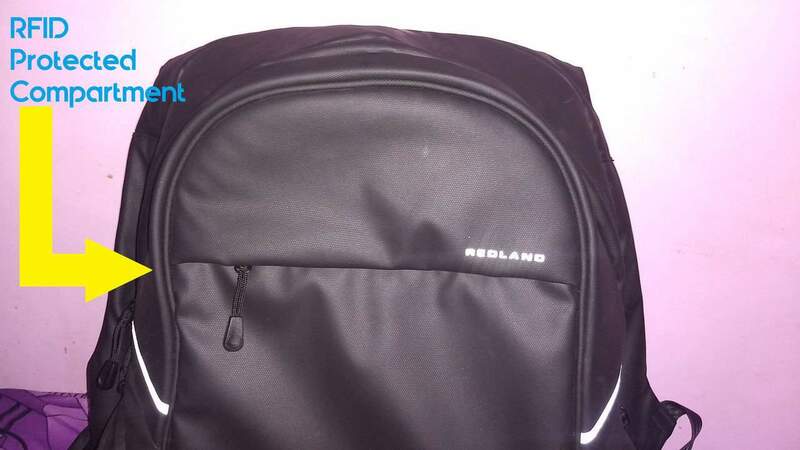 A few days ago, I got a parcel, and when I opened it, there’s a backpack inside with a letter which stated that a luggage company named Redland has sent this so that I can check it out and share my thoughts. I readily wanted to share it on Facebook, but then I was like, “Hold on, is Facebook selling my thoughts as well to everyone…?” (pun intended) Well, It was a bit mysterious to get an email from them asking me to acknowledge whether I have received the package or not, and hence I checked out their website and found out that they are a team of professionals who are trying to add more features into bags and backpacks, and they want me to try this, so I thought, “Why not try this one instead of sticking to a generic laptop bag?” And well, I must admit that I’m quite impressed with this Redland Jonah Backpack which is serving my purpose pretty well. Before I talk about its features and all, here’s how it looks. Pretty simple, huh? But wait, don’t get tricked by the looks. The Redland Jonah packs much more inside. But let’s talk a bit about what kind of compartments it has and what convenience it offers. On the front, there is the main compartment along with a smaller compartment which is RFID protected so that you can keep some documents like Passport, Credit Card etc. inside it. When you open the main compartment you can see a lot of pockets and smaller compartments, ideal for storing the laptop, tablet, phone and almost anything, ranging small to medium and large stuff like a 15-inch laptop. On the back, there is a similar zip that you can just pull to reveal another secret compartment and there is a huge amount of space, separated into multiple sections and more pockets where you can store your stuff. On both sides, there is one small pocket, and one of them holds a retractable keychain whereas the other has a USB port. Also, there is a hidden chamber on the back as well and opening up reveals another flip-off compartment, along with some more smaller pockets to store your things safely. 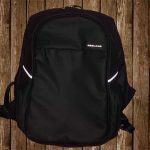 The Redland Jonah has quite a few features that you won’t find in a conventional backpack for sure and well, some of those are damn useful, for tech-savvy people. Here are those. 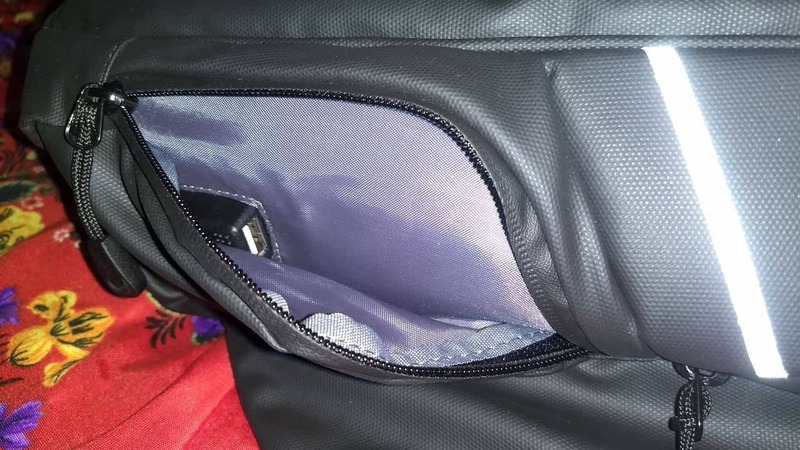 As soon as I found out all the zips and opened the compartments and pockets, in the main compartment I saw a cable popping out and when I pulled it, it won’t come off, so I was a bit curious, but soon I realized that it’s the USB port that is in the side pocket from where the cable is coming out into the main compartment. So, you can just connect a power bank using that cable and on the other side, you can just plug in your phone’s USB cable and start charging, without worrying about missing a call or text. Why worry about low battery and forgetting your power bank home while the Redland Jonah Backpack itself ships with a 10000mAh power bank that is enough to charge phone or tablet. And the best thing about the power bank is that it comes with two USB ports, one micro-USB port, and a USB-C port so that you can charge any phone with any kind of charging cable. 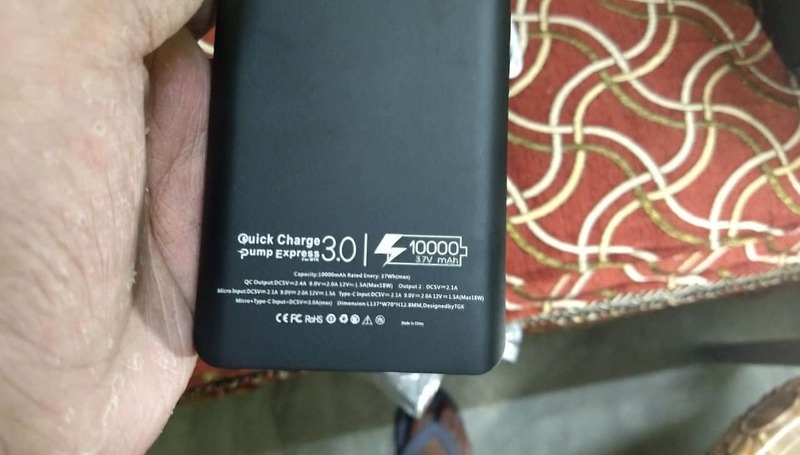 Also, the power bank supports QuickCharge 3.0 so that you spend less time on charging and use the phone more. Radio Frequency Identification (RFID) is a short-distance electro-magnetic method for transmitting small bits of data. It is used in authentication, passports, identification cards and credit cards. RFID-enabled credit cards can wirelessly transmit the necessary personal information from a card held a few inches away from an RFID reader to complete a financial transaction. So, just in case you want to store any of these items as mentioned, that uses RFID, you can just store them safely in this RFID Protected Compartment. 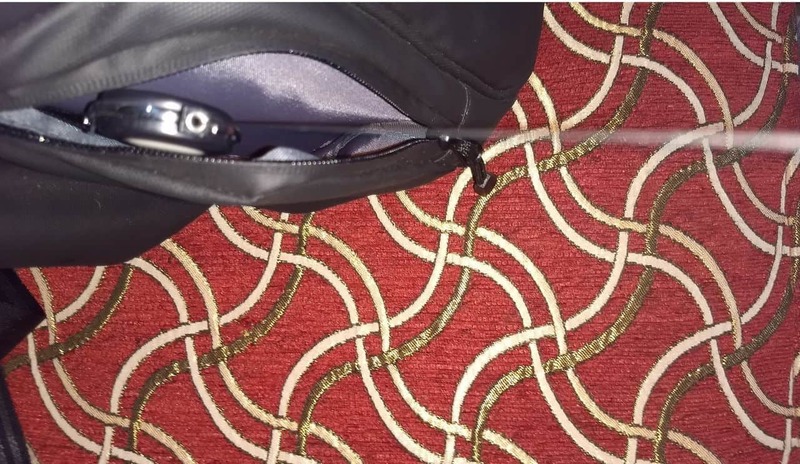 On one side of the bag there is a pocket with a hook and retractable keychain, which helps in pulling off keys easily and open locks, without putting off the bag and searching for the keys, also it makes keeping the keys safe for users. Here, the creators have used fabric that will not let water leak inside and that’s a good decision as electronic items are very sensitive to water. I tested out by dropping water on the bag to see whether it will protect the items inside in rain or not and well, it seems the water didn’t leak inside at all. 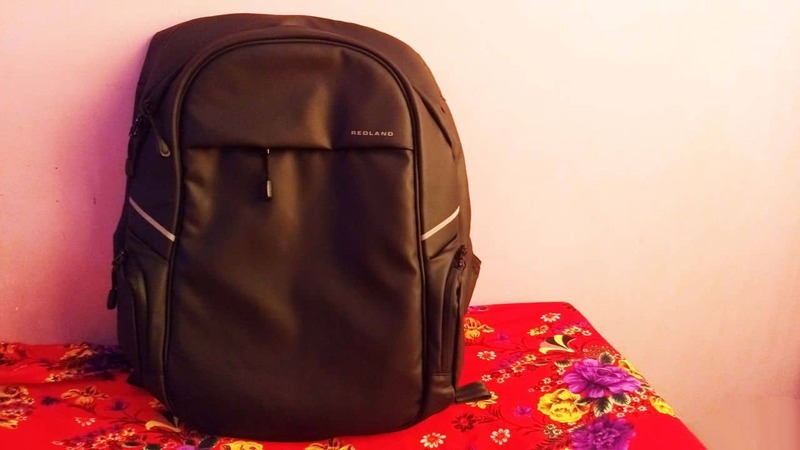 The Redland backpack is easy to carry and even during a long wait at the station for the train (That’s a 10-hour delay, thanks to Indian Railways), I didn’t feel like my shoulders are hurting too much. Of course, I kinda stretched it a bit too much by standing and roaming here and there for so long, in lieu of waiting at the waiting room, but it was not a bad experience at all. Earlier, I had used generic laptop bag, which actually made me uncomfortable after an hour or so, because of the poor straps, but this one is pretty good and is suitable for solo travelers for sure. 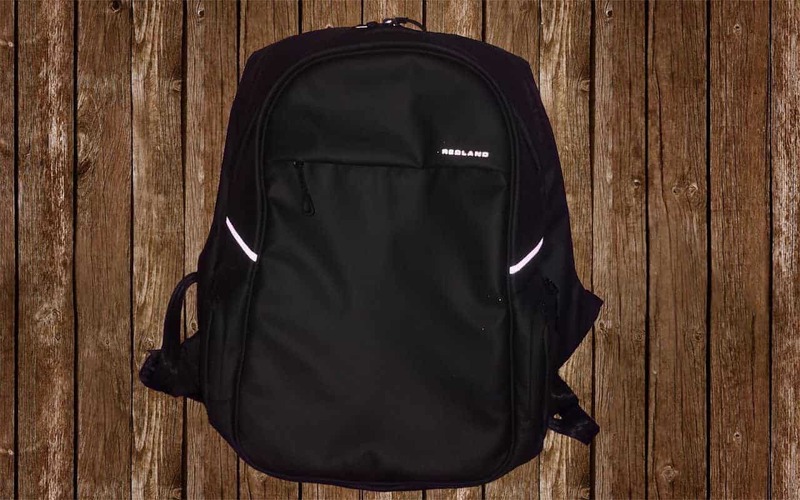 How to Purchase Redland Jonah Backpack? The Indiegogo campaign for this is live now and as an early bird, you can grab this backpack for as low as $79 only. You can order one for yourself from Indiegogo page itself, and they offer free delivery worldwide. The Redland Jonah Backpack is all about a different design approach and focuses towards the utility rather than a backpack that just looks stylish and comfortable. It takes the best of both worlds to provide a comfortable experience while adding values to the utility. Also, some people may find the price to be a little extra, but remember that utility and design come at a price. I kinda missed a side pocket for storing a water bottle. Apart from that, I think everything is quite good and it can be my travel companion for sure. Previous articleArtificial Intelligence & Work Culture: Bull in a China Shop or Life Raft to a Drowning Sailor? Next articleWhat an Average Indian Consumer Expects from Smartphones Launching in 2018?